I always seem to be longing for less clutter and for more simplicity. Unfortunately, the definition of “organize” in my dictionary is “procrastinate”. and have been organizing professionally for others. 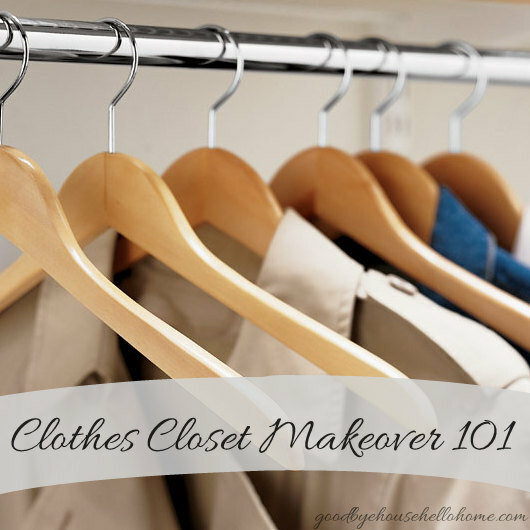 If you’ve been putting off getting the closets organized, start with just one. You’ll see that the time whiled away tidying it is well-spent. You may even discover a treasured or lost item tucked away! Aim to get the closet half-empty. It’s easier to maintain when things are not all crammed together. Sort on the bed. Start with your clothing, handbags, and accessories. (I take all of each category out of the closet, put them on the bed, and sort there.) There are two important factors to help you decide what to keep and what to donate: size and style. Does this fit you right now? How realistic is it to lose that much weight? Even if you did lose the weight, would this still be fashionable? This closet belongs to a teenage girl with whom I worked. Limit your hangers. Consider buying matching hangers in a set amount and certain color for each person. In our home, my husband and I use wood hangers, our older daughter uses cream-coloured velvet hangers, and our younger daughter uses white plastic. We have about 50 hangers each, and when we have accumulated too many clothes for the hangers to accommodate, we know that it’s time to purge. We don’t go out and buy more hangers. Limit your shoes. It’s the same with shoes. I have 10 pairs of them. That’s it. However, the average woman has 40 pairs of shoes, and the average man has 10. Count yours, and consider limiting your stash. Pull out those that you no longer use and add them to the donate box. Someone somewhere might really need them. Store your shoes in boxes. 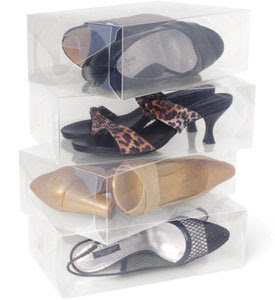 Put your regularly-worn shoes at grabbing level, with the less frequently used ones higher up. I like these boxes from Organize It. Aim to keep the floor cleared. 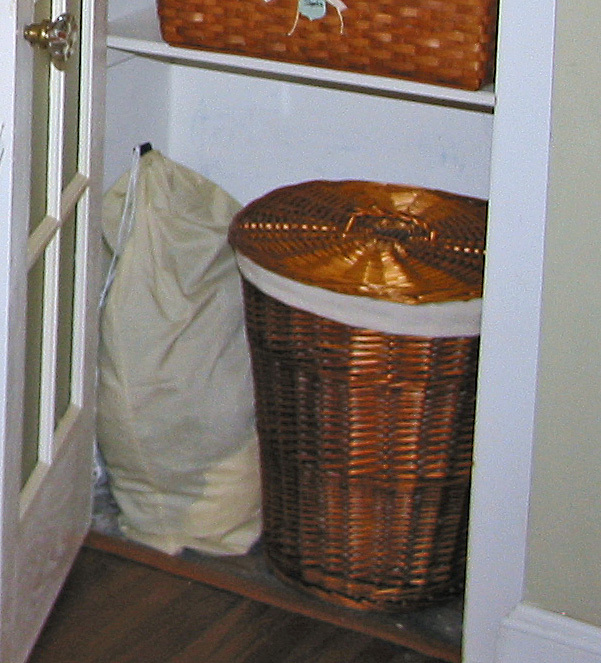 It’s much easier to vacuum and makes the closet feel twice as big as it would if it were messy. You're going the wrong way! You've heard this tip 100 times, but it works, so it bears repeating: when you first return the hung clothing back to the rod, hang them so that the open end of the hook faces you. When you've worn the item, return it to the rod with the hanger hook facing away from you. Every few months, donate the attire on hangers facing the wrong way. You obviously haven’t been wearing it. Hang coordinating pieces together. It will speed up the process of getting dressed. 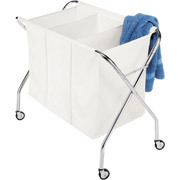 Baskets, bins, or boxes are the bomb! They keep items corralled and neat. Before and after pictures of a client’s closet prove my point. Keep your accessories accessible. An over-the-door jewelry/belt/scarf organizer is a space-saving, pretty way to keep your bling at hand. 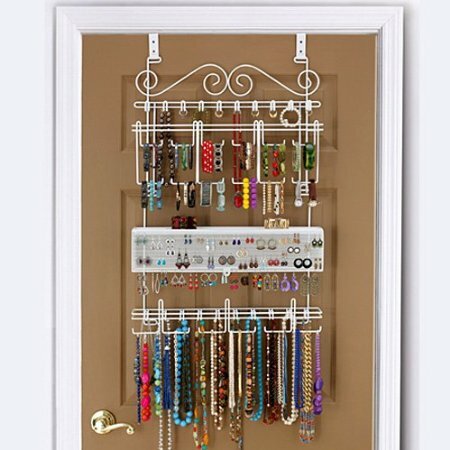 I recommend this Overdoor Jewelry Organizer, by Longstem. Have you a closet in mind in which you could start? 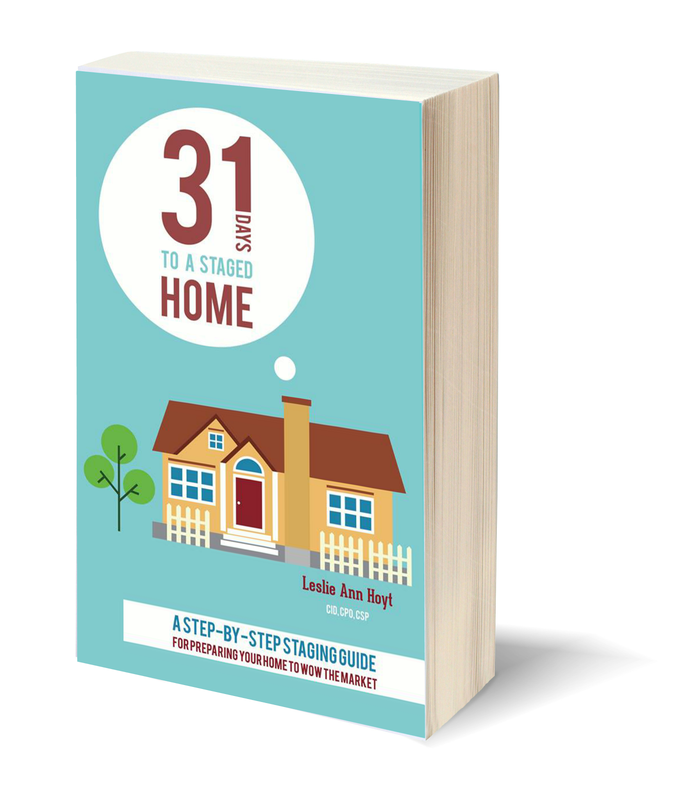 You’ll enjoy the feeling of freedom as you reclaim and organize the closets in your home! All this time and money wasted on fashion—do you think it makes that much difference? Instead of looking at the fashions, walk out into the fields and look at the wildflowers. They never primp or shop, but have you ever seen color and design quite like it? The ten best-dressed men and women in the country look shabby alongside them. If God gives such attention to the appearance of wildflowers—most of which are never even seen—don’t you think he’ll attend to you, take pride in you, do his best for you? I'm at Allison's today at her Hookin' Up with House of Hepworths Partay. 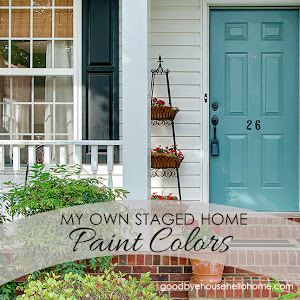 I'm also at Gina's Transformation Thursday at Shabby Creek Cottage. Awesome before and after pictures! My in-laws work for The Container Store so every time we move they help us outfit the closets, it is such a blessing to open a door and not see a mini-war zone! Mini-war zone! That's funny! And you're extremely blessed to get the goods from The Container Store. I may be jealous, a bit. First of all, I'm SHOCKED that you said organizing doesn't come naturally to you. I've seen what you do and you sure could've fooled me! Baskets and bins always save the day. When in doubt, put it in a bin! Love the befores and afters. It feels SO liberating to get those closets done. It's one of my favorite organizing projects. 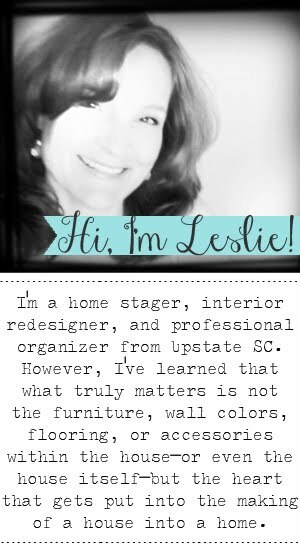 Rock on, Leslie! I clicked on your blog because of the title - love it. You are brave to put a picture of your before closet out there. I have one closet yelling at me today and seeing your ideas tells me that I need to "just do it". Thanks for the inspiration. What a lovely way to make your wadrobe convieniently spacious. Great job organizing your closets. I love the baskets!! I've been putting off my hall closet which has been the catch-all for a couple of months. You inspired me!! Thanks! !